FREE M&Ms For First 50,000! You are here: Home / FREEbies / FREE M&Ms For First 50,000! 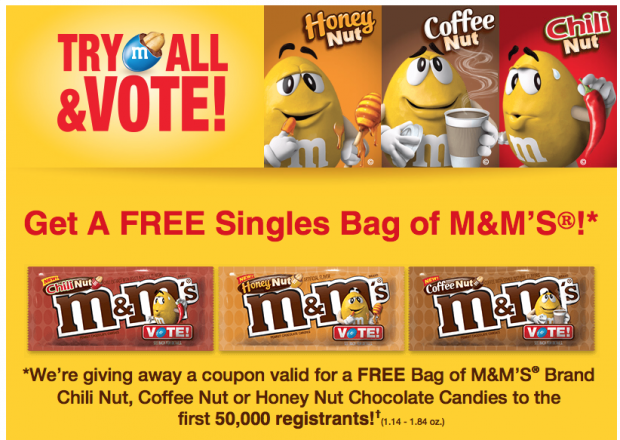 Get one FREE bag of 1 of the new M&Ms flavors for the first 50,000 who sign up! These will go fast!